This weekend was really fun for me. We didn’t do anything special but we did get a lot done and spent a lot of time together as a family. Now that May is in school it’s almost nice not to have plans. I enjoyed some time in the kitchen cooking for fun, canning, and baking, and the results were share worthy. 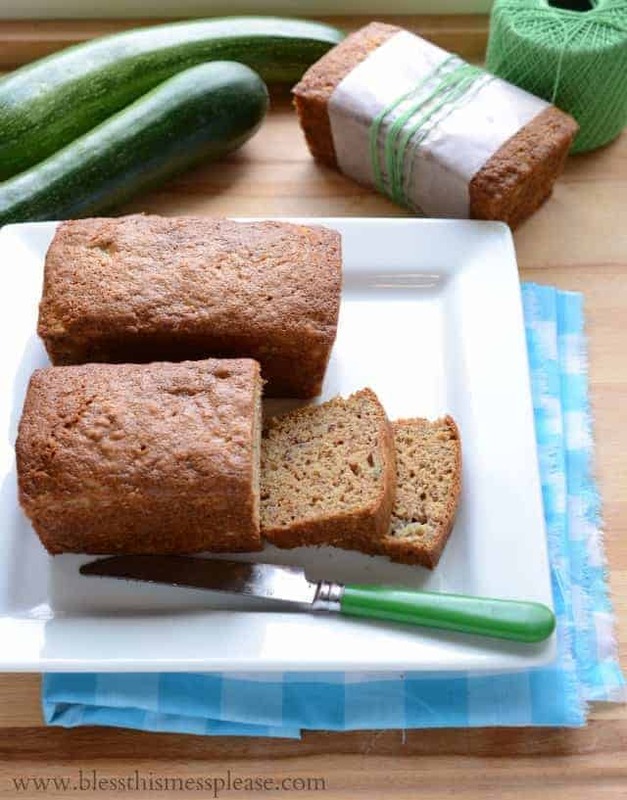 Banana zucchini bread is a mix between your two favorite quick breads that has them both beat. 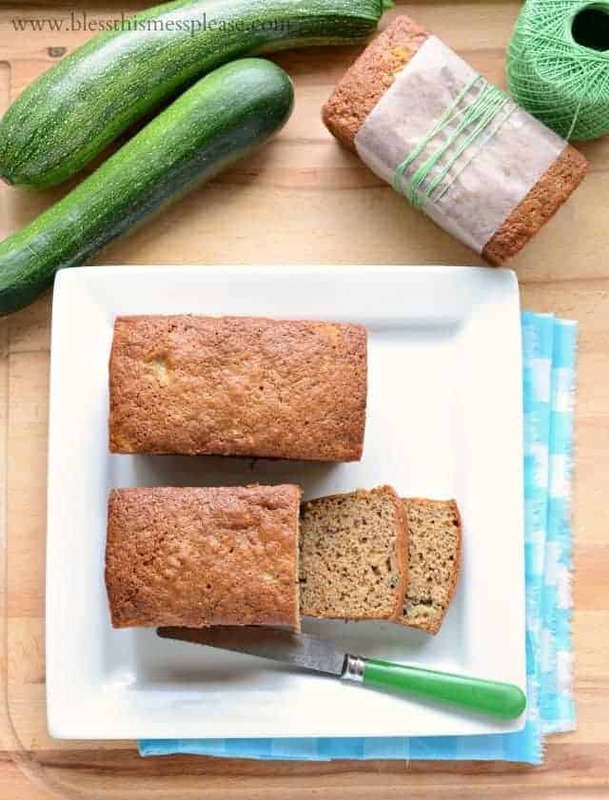 You just can’t go wrong by combining banana bread and zucchini bread. Plus, it’s using up the million and one zucchini that are still flowing from the garden. This recipe makes two loaves of bread and I actually tripled the recipe with great success and made six loaves! Then we had a bunch to munch on and enough to give to a few friends and neighbors. I got some great comments back at church after everyone had time to eat theirs so I know they were good! Plan on whipping up a batch of these this afternoon for the kiddos after school snack or make a double batch and send a loaf to school with them tomorrow for their teacher. This is a great recipe and one you’ll want to make again and again, so be sure to pin it or print it because you won’t want to loose it. 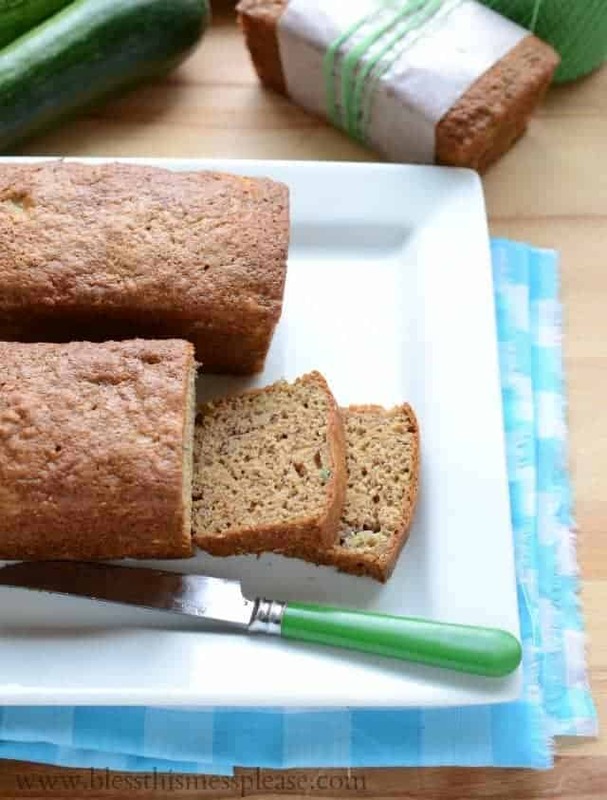 Preheat the oven to 350 degrees and grease two 9×5-inch loaf pans. Set aside. Add the egg mixture to the flour mixture and stir until just incorporated. Don’t over mix at this point of the batter will get tough. Add the shredded zucchini and gently fold it into the batter. Pour the batter evenly into the two prepared pans and bake for 50-60 minutes or until a toothpick inserted into the center of the bread comes out clean. Let the bread cool in the pan for about 10 minutes, remove from the pan, and then let it cool completely before serving. Store in an airtight container. This recipe is from The Brown Eyed Baker. Thanks a million for being here and for all your kind comments on the completion and sale of our house! You are awesome. This looks great! 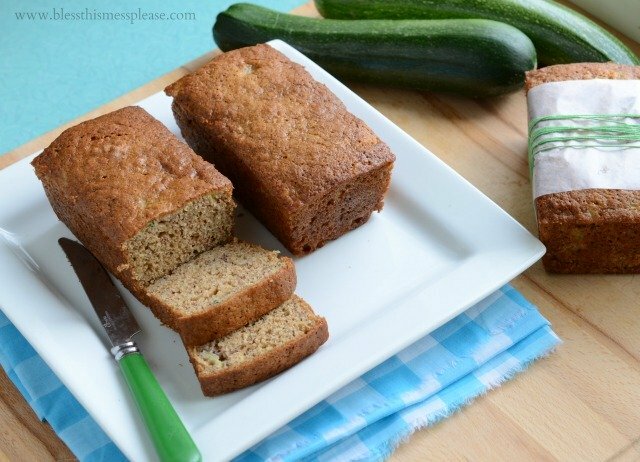 Just made my first zucchini baked good this week so now I want to try this bread!